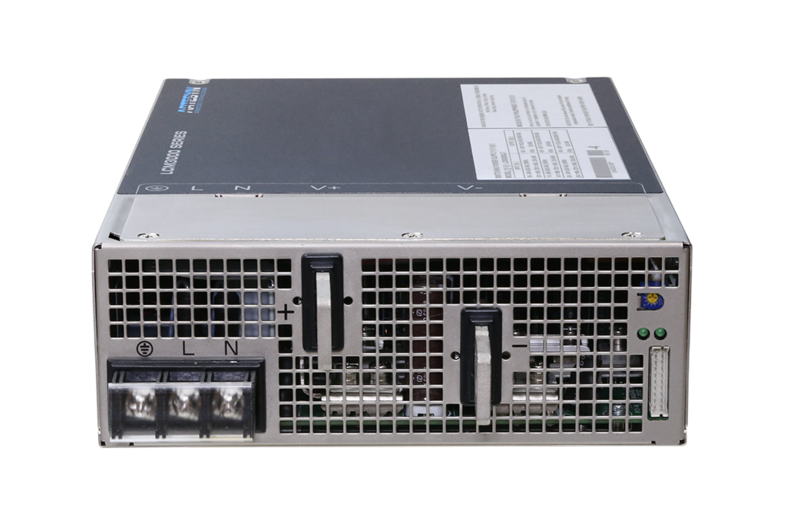 Tempe, Ariz. [14 August, 2018] — Artesyn Embedded Technologies today announced the LCM3000 series AC-DC single-output enclosed power supplies, which can supply up to 3000 watts output power with medical and industrial safety approvals. Designed to be a cost-effective forced-air bulk front end power supply, the LCM3000 series offers configurable nominal outputs of 12, 24, 36, or 48 volts with output adjustability of plus or minus 25 percent and maximum current of 250 amps. A standard 5V/2A housekeeping output enables OEM standby functions even when the equipment is nominally off. With standard features including power factor correction, variable speed ‘smart fans’, digital control, a five-year warranty and a typical efficiency of greater than 90 percent, Artesyn is offering premium functionality at prices that compete with more basic power supplies available in the market. Cost per watt for the new series can be as low as $0.09/€0.08 in production volumes. Artesyn’s LCM3000 series is ideal for industrial applications such as test and measurement equipment, industrial robotics, laser-carving machines, and factory automation; non-patient contact and non-patient critical medical, dental and laboratory applications; as well as for telecom and datacom equipment. With simple firmware options, the LCM3000 can be used for battery charging and driving LED lights.